I often miss my hometown of Liverpool, UK. Whenever I read travel articles, see a story on the news, or hear about it on the radio, all my memories of home come to mind. So I ‘ve decided to share with you all the recent news about Liverpool. If you have the chance to visit the UK, make a point to see Liverpool. If you’ve been there before, I’d love to hear about your trip and find out what what you thought of it. KLM Royal Dutch Airlines has announced its intention to operate new services out of my home city, Liverpool John Lennon Airport, thereby renewing a partnership, which first began seventy years ago. On commencement of its 2009 summer schedule, KLM will launch a new service between Amsterdam and Liverpool, connecting the Liverpool City Region with over 100 worldwide destinations on KLM’s own intercontinental network and with over 650 destinations across KLM’s Skyteam partner networks including Vancouver and the rest of North America. Effective from 29 March 2009, KLM cityhopper (regional airline subsidiary) will operate the new scheduled service three times daily using Fokker 70 jet aircraft carrying up to 80 passengers. 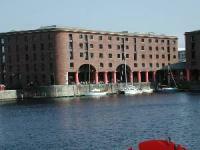 Liverpool is the UK’s fourth largest city, and one of its fastest growing business centres. In addition the city’s international profile has grown with its recent accolade of the European Capital of Culture 2008 and of course, the home to The Beatles . Liverpool attractions greet you on every street – we haven’t been awarded the Capital of Culture title for nothing! The architecture is world-class, with more listed buildings than any city outside London. The heart of the city and its waterfront sit proudly alongside treasures like the Taj Mahal and Pyramids at Giza as a World Heritage Site. Whether you’re coming to Liverpool for arts and culture or sport you’ll be spoilt for choice in this great city. The city’s areas of interest extend far beyond the World Heritage Site. In and around Liverpool, attractions to satisfy the mind are always within reach, with maginificent architecture and cultural wonders filling the metropolis as well as the countryside and seafront. Liverpool boasts two cathedrals which are major attractions in their own right. The Anglican Cathedral and the Metropolitan Cathedral are fine examples of internationally recognised architecture. 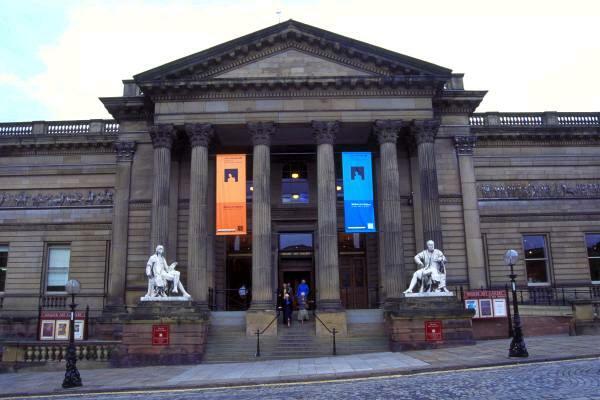 Many gems of the National Museums Liverpool fall within the heritage site. The refurbished World Museum Liverpool and Walker Art Gallery are housed in this part of town, while the Tate Liverpool and Merseyside Maritime Museum have their homes on the waterfront, at the Albert Dock, alongside the not to be missed Beatles Story. Check out artinliverpool.com for listings of Arts & Culture events in the area. If you’re looking for theatres in Liverpool, choose from the Everyman and Playhouse, Unity and Empire theatres for a range of contemporary, classic and touring productions. In Liverpool you will find all the national chains like Marks and Spencer for your basics plus many independent shops for those one of kind unique items. Be sure to visit the downtown area and the historic district to get a flavour for all the variety available. If fashion is what you’re looking for, then Liverpool is the kind of place where styles tend to make their first appearances before filtering through to the rest of the country. It has become the first place to look for people with an eye on fashion. The newest and largest mall is Liverpool ONE. Here you will find the latest in shopping, dining, and entertainment. 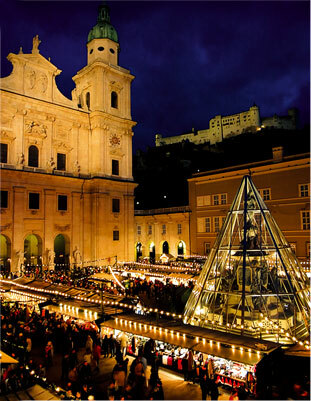 Held in the picturesque Cathedral and the surrounding squares, the annual Salzburg Christmas Market is a great place to soak up the Christmas atmosphere and pick up a few Christmas presents from the many stalls and vendors. Items range from traditional festive foodstuffs, handmade Christmas decorations, jewellery, candles and other arts and crafts. In addition to hot food stalls and mulled wine stalls, visitors can enjoy a range of entertainment ranging from nativity plays to choral performances. So forget the standard stocking stuffers and head to Austria and even further afield to other countries who each host their own Christmas Markets, places such as Germany, France, and more for a seasonal shopping extravaganza. Plus, if you’d rather shop online and just enjoy London over the holidays, you can also book a festive vacation too. Salzburg’s Christmas Market, mentioned as far back as the 15th century, is located at the foot of the Hohensalzburg fortress, around the venerable cathedral of Salzburg. 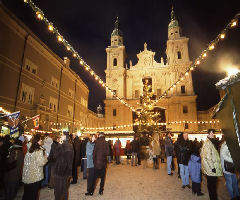 The Salzburg Christmas market will be open again from November 20th until December 26th, 2008. For more information about flights, fares, and/or accommodations, contact us. The most common-sense solution for avoiding checked baggage fees is to simply not check your bags. With American, Continental, Northwest, United, US Airways, Frontier, and Spirit now charging $15 for a first checked bag (and most legacy and budget airlines charging around $25 for the second one checked) on each leg of a flight, it just makes (dollars and) sense to carry on. Invest in a strong, yet lightweight bag that’s in accordance with the bulk of airlines’ carry-on allowances (check individual airline websites for details as sizes do vary) and reusable toiletries containers (sized under the TSA’s mandated maximum of three ounces) and leave worries of lost luggage, hefty additional fees, and long waits at ticket counters (and carousels) for checked bags – behind. The steepest checked baggage fees are tacked onto bags that are overweight (usually above 50 pounds) or oversized (from 62 inches). So while it may at first seem logical to try to cram everything into one bag instead of using two, know that while a first checked bag won’t set you back more than $15 on any airline, if it ends up being oversized or overweight it can cost anywhere from $29 (AirTran) to $175 (Delta, for over 70 pounds). Considering second checked bag fees hover around $25 on most airlines (bringing the average total for two checked bags to about $40), it’s near-always the more economical option to check two bags than to go overboard on one. Alternatively, think about packing a small tote bag in your luggage that can be pulled out to use as a quick-fix carry on to transfer luggage overflow that might make your checked bag overweight by just a pound or two. If you must travel with more than two bags, or with overweight or oversized luggage, looking into a shipping agent like FedEx or the USPS for cost comparison is a smart move, as rates can actually be quite competitive. If you’re looking to catch some onboard shut-eye, pack an inflatable pillow to carry on. Available at many travel and luggage stores, they can be quite comfortable, are more sanitary than airlines’ recycled arsenal, and takes up very little room; you can even fit one in your briefcase or purse. A handful of airlines (United, JetBlue, and US Airways among them) are now charging anywhere from $1 to $5 for headsets that allow travelers to tune into the in-flight video entertainment. Simply bring your own iPod earbuds or headphones aboard for superior quality, and save on dishing out for their cheapie versions which you’ll most likely end up throwing away. With Continental the only remaining carrier to still provide complimentary meals, and more than half of domestic airlines now charging even for light snacks. Be wise and pack a brown bag meal ahead of time to carry on, there are lots of fast food outlets airside to purchase a meal from in advance. Some very smart hotel chains have figured out a way to attract guests by offering to alleviate their newfound checked baggage expenses. Show your first checked bag receipt when checking in at a Loews Hotels for up to $30 in dining credit at the property under their Baggage Buy Back campaign. Kor Hotel’s Los Angeles-area hotels will reimburse guests with up to $75 in hotel credit through their Money Bags promotion, while Kimpton Hotels’ We Got Your Bag campaign (which was just extended through the year’s end) gives guests who bunk down at one of the chain’s 43 boutique hotels throughout the US and Canada a room credit of up to $25 issued on the spot. Just don’t forget to hang onto those checked baggage receipts as proof. Several airlines – including United, American, and Continental – will waive baggage fees if you are an elite member of their frequent flyer program. Remember to sign up for your carrier’s frequent flyer program before booking your flight to start accruing points, and if you are already a member of a program, keep in mind that loyalty to them might very well pay off in the long run. About half of domestic airlines are now charging for “preferred” seat selection – you’ll pay $20 for an exit row seat on AirTran or $10 for an aisle seat on Spirit, for instance. To avoid doling out the extra cash, check in online just prior to your flight (most airlines open up online check-in 24 hours before scheduled departures), when non-assigned seating inventory usually opens up to all passengers. If you are able to pick your seats in advance, however (the bulk of airlines are still not charging for non-preferred seating assignments), consider booking seats at the back of the plane where you’ll have first dibs on luggage space, meaning you won’t have to store your bag under the seat in front of you, taking up precious leg room. You’ll also get dibs on first-come, first-served amenities (for any that are still left!) like blankets and newspapers. For our first few days in Las Vegas, we walked everywhere despite the summer heat (it reached a high of 111 degrees while we were there)…from Terribles Hotel Casino, up and down the Strip, and to the Liberace Museum. Don’t forget distances between blocks in Las Vegas are huge and what just looks to be around the corner can be a half hour walk. It’s a dry heat so you don’t notice it as much but we were prepared with large bottles of water in our knap sack that we kept handy at ALL TIMES. When our feet started getting sore…we tried taking public transit and found out it’s very easy. The Deuce is an air-conditioned double decker bus service that travels up and down the Las Vegas Strip. The fare is $5 and it’s valid all day and night for a 24 hour period plus you can use your transfer on the regular transit system as well. That’s what makes the transit system so attractive. These Alexander Dennis double decker buses were made in Great Britain; there is always lots of sitting / standing room and the super efficient air conditioning system is a welcome cooldown. We used it to get to the shopping outlets which we’ll talk about it below and to dine at a Red Lobster restaurant. No trip to Las Vegas would be complete without going shopping. You are spoilt for choice. Several hotel casinos have their own shopping mall. Underneath the Planet Hollywood Hotel and Casino lies the Miracle Mile Shops. One mile of shops selling everything from leatherware to electronic gadgets. The Forum Shops is part of Caesars Palace Hotel and Casino. The interior resembles ancient rome with its streets, columns, and arches. What stood at most to me were the talking statues that are part of the Atlantis laser show and the ceiling which resembles a sky that slowly changes from day to night and back again. The Grand Canal Shops are part of the Venetian Resort Hotel and Casino. The concept of having gondolas and a winding series of canal’s through the mall and outside the hotel is an incredible engineering feat. You could almost be in St Mark’s Square. If you’re looking for a mall with all the major department stores, check out the Fashion Show Mall. 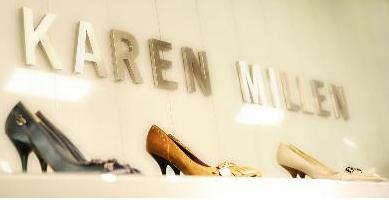 It contains a variety of unique clothing, cosmetic, accessories, and gadget stores. If you want to visit the shopping outlets, there are a couple of choices: the Las Vegas Outlet Centre (indoor) and the Las Vegas Premium Outlets (outdoor). We encountered the best deals at the former, the stores are slightly lower end but definitely worth a visit. The latter has higher end stores but we weren’t particularly impressed with the sale items. Even those of you who found the musician, Liberace, too much to bear, you would be fascinated by his legacy he left behind in his museum. From the outside, the building looks abit non-descript but you’ll be surprised. It consists of 2 parts. The first shows Liberace’s family exodus from Europe to America with archival photographic material and a partial collection of his outrageous vehicles. Several of his pianos that were made famous from his TV appearances are also there. A short walk away will take you to the second building which displays a sample of the outrageous costumes he wore for his performances. Outwardly Liberace might have seemed a bit sissy but don’t let that fool you. He was a strong fit man, he worked out regularly in order to fit into his costumes…some of which weighed over 200 pounds. The famous outlandish rings that he wore are also on display here. They update the items displayed regularly from their warehouse so there won’t always be the same things. We recommend taking a tour with the docent to get the full history of this colourful performer. His museum is not to be missed. Most of the hotels along the Strip have sales people promoting timeshares. They will attempt to pre-qualify you by asking some questions and then offer you incentives to attend a short seminar in exchange for things like vouchers for free meals, tickets to shows, etc. Be forewarned that these seminars start out very low key but the pressure to buy into the timeshare escalates. It invariably takes up more time than they originally tell you during the pre-qualification, especially if the presentations are off-site. You have to decide for yourself if it’s worth your while to go through with it. HOOTERS CASINO HOTEL: This casino hotel has country music theme and it’s located behind the Tropicana Hotel. It’s location makes it central to the MGM Grand, Excalibur, and New York New York. The casino area has wooden floors and is abit smaller compared to the other Las Vegas Strip hotels. BALLY’S HOTEL & CASINO: Bally’s is an older hotel. I didn’t find anything architecturally unique about it. It has a very good central location on the strip amongst all the other hotels, bars, and restaurants. You reach the reception area from the Strip through a covered semi-circular walkway which is illuminated at night with neon lights. CAESARS PALACE HOTEL & CASINO: This is a beautiful opulent hotel which connects to the Forum Shops. The hotel features roman style statues and fountains in beautifully landscaped gardens. Look out for Bette Midler, Cher, and Elton John, these performers alternate their performances throughout the year. VENETIAN RESORT HOTEL & CASINO: This is one of the best hotels in my opinion. The Grand Canal Shoppes and Madame Tussauds are part of the hotel. If you don’t like the smell of cigarette / cigar smoke, the Venetian make the best effort to mask the smell. I have been to the “real Venice” and I tell you it’s very close to the real thing. PALAZZO RESORT HOTEL & CASINO: The Palazzo is an extension of the Venetian Hotel and is located between the Wynn and the Venetian. It is just as luxurious as the just mentioned hotels. The theme is of course sicilian and they have used marble extensively throughout. If you’ve never been to Barneys New York, you have your chance now since they have a store on site. WYNN LAS VEGAS HOTEL: This hotel is very distinct from the outside with its sleek semi circular structure clad in dark red glass. There is a lush garden dome in the middle of the hotel with a few high end shops around the perimeter. If you’re in the mood to shop, the Fashion Show Mall is across the street. RIVIERA HOTEL & CASINO: This is an older hotel and doesn’t appear to be undergoing any renovations. When we walked into to explore the facility there weren’t many people around or in the hotel casino. Have people given up on this place??? There is a Walgreens nearby and a few souvenir shops as well. CIRCUS CIRCUS HOTEL: This hotel was better than I expected in terms of cleanliness and popularity. If you’re a doughnut fan, the hotel offers a Krispy Kreme Doughnut store. The hotel’s steak house advertises a $14 steak dinner. Down the street is Bonanza’s Gifts, the largest souvenir shop in Las Vegas. At the nearby Slots-A-Fun, they offer a .99 cent Shrimp Cocktail. PARIS HOTEL & CASINO: This french themed hotel feature it’s own Eiffel Tower. The casino is built under the base of the Tower with cobble stone streets around it with a variety of shops and restaurants. They have an open stage area beside the casino for live performances. The ceiling is painted blue to resemble a faux sky giving the impression of being outside. The restaurant, Mon Ami Gabi, is cute bistro with patio seating along the Strip. The bistro’s exterior balustrade features cool jets of water mist providing a cooling effect to pedestrians walking by. FLAMINGO HOTEL & CASINO: Great location one of the oldest hotels on the strip but very well maintained. There is a funky restaurant called Margaritaville for which the food is good value but the Margaritas are a little pricy. STRATOSPHERE HOTEL & CASINO: This popular hotel at the north end of the strip is located between the downtown’s Freemont Street and the more popular hotel casinos at the other end of the Strip. At the top of the tower there is an observation deck and a restaurant with incredible views of the city. It offers a small mall with lower end shops. HARRAH’S HOTEL & CASINO: A huge jester statue welcomes you above the main entrance to this hotel casino. It has a central location along the Strip adjacent to the Imperial Palace, across from Caesars Palace. MGM GRAND: This decadent hotel has a striking emerald green exterior which dates back to its Wizard of Oz theme back in the early 1990’s. It features a large MGM Lion outside as well as a smaller one inside by the cavernous reception area. A popular attraction at the hotel is the Lions Habitat. A glass tunnel runs through the habitat allowing visitors a close up view of the lions. SAHARA HOTEL & CASINO: This hotel has seen recent renovations inside and out. It offers a large pool area with nice landscaping. From the outside you can see part of their roller coaster ride which runs throughout the day. The food court area has a Nascar theme. IMPERIAL PALACE HOTEL & CASINO: It’s one of the older hotels along the Strip. It’s located across from Caesars Palace adjacent to the Flamingo. The hotel offers a variety of asian restaurants.